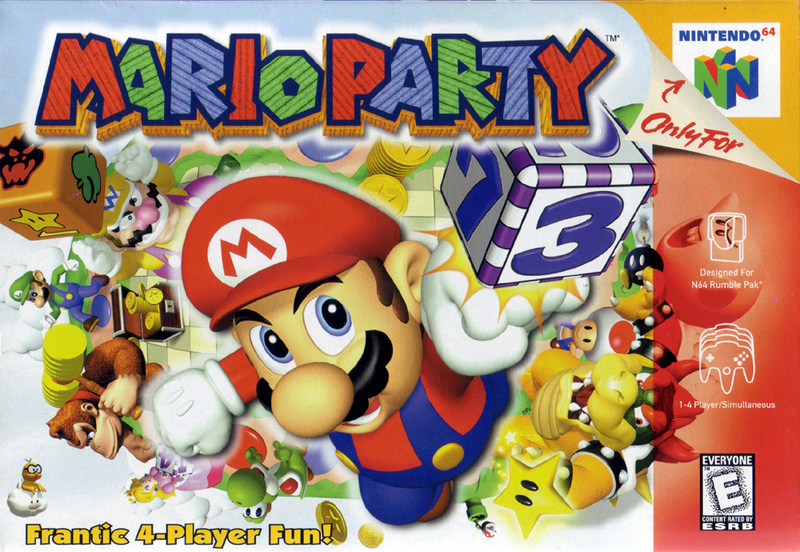 Краткое описание: Every game in the main series has a standard Party Mode in which up to four players play through a board, trying to collect as many stars as possible. In every turn, each player rolls a die and progresses on the board, which usually has branching paths. Coins are primarily earned by performing well in a minigame played at the end of each turn. On most boards, players earn stars by reaching a star space and purchasing a star for a certain amount of coins. The star space appears randomly on one of several pre-determined locations and moves every time a star is purchased, usually occupying a blue space. 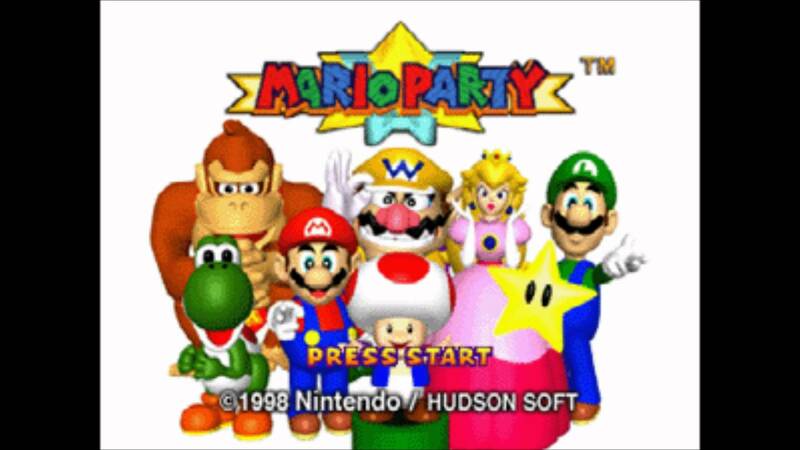 Every Mario Party contains at least 50 to almost 110 minigames with a few different types. Four-player games are a free-for-all in which players compete individually. 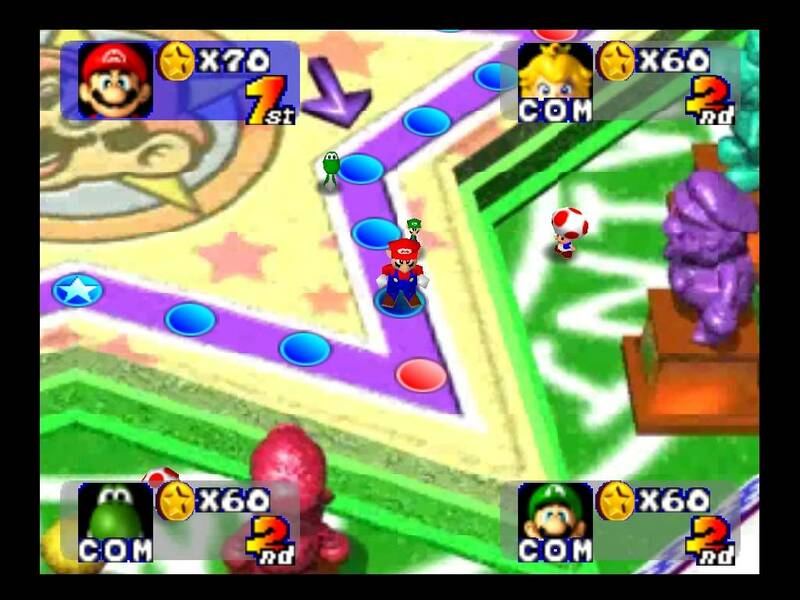 In 2-on-2 and 1-on-3 minigames, players compete as two groups, cooperating to win, even though they are still competing individually in the main game. 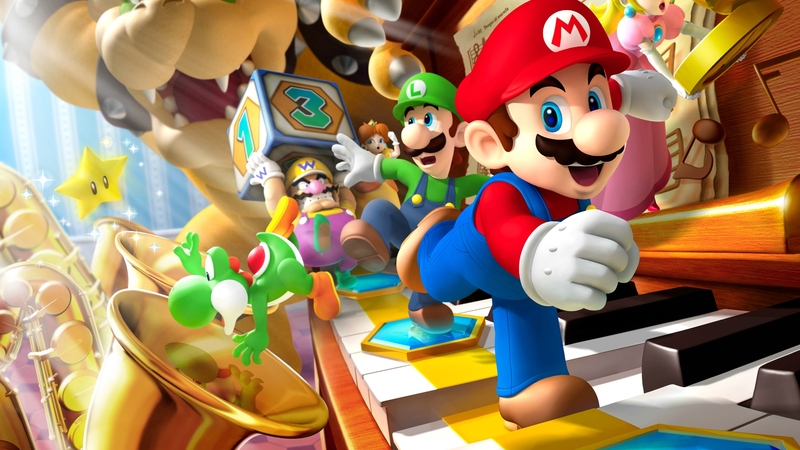 Some minigames in Mario Party are 4-player co-op, even though it doesn't say it. In most situations, winners earn ten coins each. 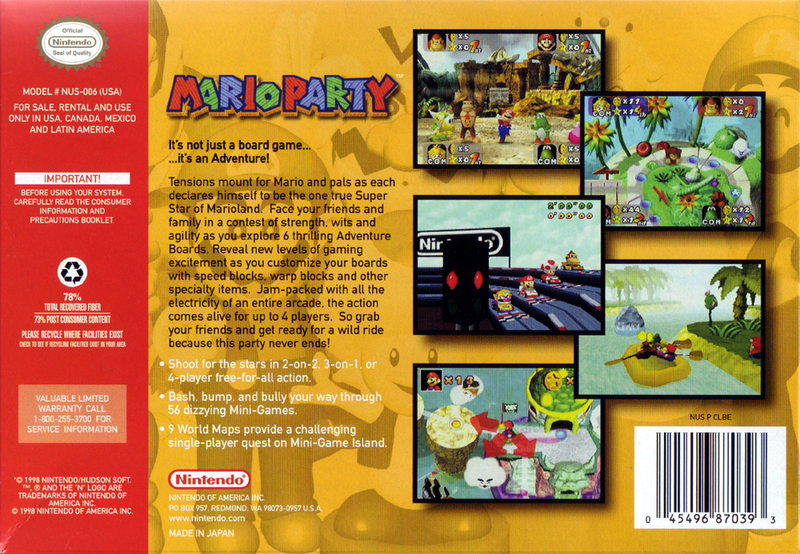 Every game in the main series has a standard Party Mode in which up to four players play through a board, trying to collect as many stars as possible. In every turn, each player rolls a die and progresses on the board, which usually has branching paths. Coins are primarily earned by performing well in a minigame played at the end of each turn. On most boards, players earn stars by reaching a star space and purchasing a star for a certain amount of coins. The star space appears randomly on one of several pre-determined locations and moves every time a star is purchased, usually occupying a blue space.